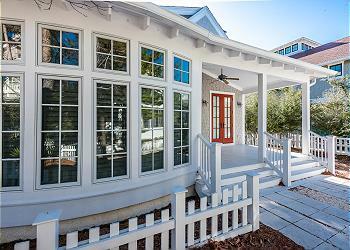 Welcome to 281 Saltbox Lane in beautiful WaterSound. This professionally decorated home is the perfect home for a romantic getaway weekend for 2, or an extended family vacation with the kids. Rosemary Mercado 4A - 82 S. Barrett Sq. Mercado 4A is a lavish 3 bedroom/3 bath condo in the heart of Rosemary's town center. 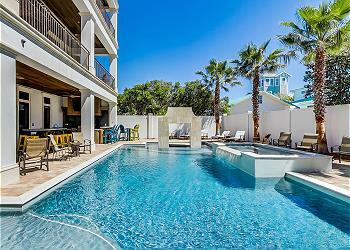 Browse photos and video of this luxurious condo and check availability for your next stay on 30A! Welcome to Loft Unit 402! This fabulous Gulf front condo has 4 bedrooms/ 3 bathrooms and comfortable accommodations for 10 guests. 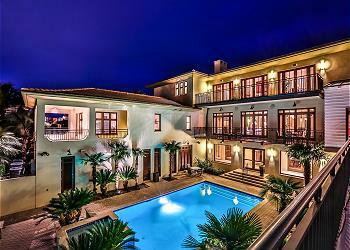 Luxury and leisure go hand in hand at this fabulously furnished WaterColor home. Guests will love the convenience of being within walking distance of the pristine beaches of the Emerald Coast as well as the fabulous ammenities offered by WaterColor. Carefully constructed with aesthetic, functionality and design in mind, this beautiful 4300 sq. ft home resides in WaterColor. Features include an open floor plan, sprawling wrap-around porch, private, heated pool, outdoor grill with wet bar, and more! 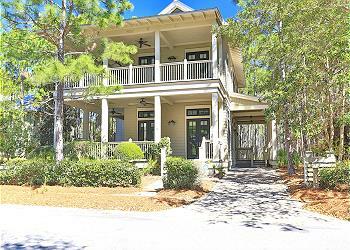 60 Grande Beach Drive is a stunning 5 bedroom/4 bath home tucked away on the white sandy beaches of Blue Mountain Beach. 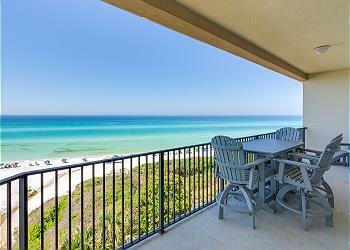 It offers panoramic views of the Emerald Coast from every floor. Delightfully inviting, this comfortable third floor getaway is perfect for that much anticipated resort vacation! 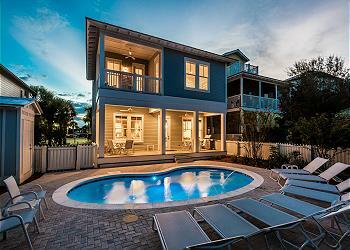 Welcome to "A Shore Thing" a beautiful luxury, 3 story home that offers spacious accommodations for 28 guests. 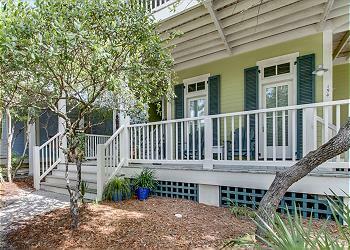 87 Salt Box Lane is a beautiful home in a sought after WaterSound neighborhood, making this an unforgettable vacation location! "Villa Blanco", the largest home on Holiday Isle, boasts ultra-luxurious accommodations for 40 people, including a private, heated pool, private boat dock, an in-home theater, and game room! 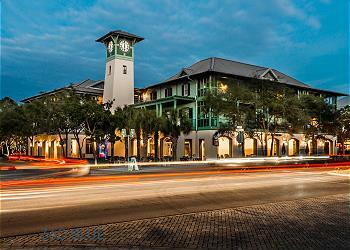 Enjoy being in close proximity to Rosemary Beach Town Square, when you stay at 33 Atticus Road! 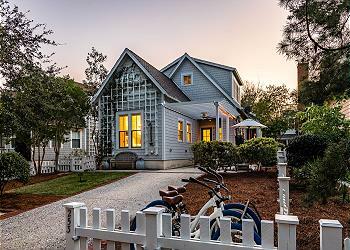 This cottage and carriage house offers fabulous accommodations for up to 13 guests. 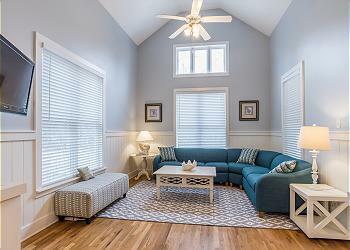 Enjoy all that Seaside has to offer at this charming, four bedroom beach cottage located across from Forest Street Park. 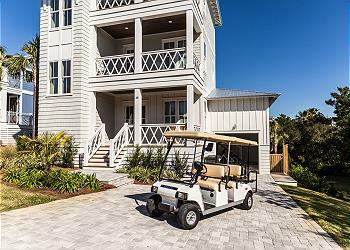 Explore the area on the 4 adult bikes provided and enjoy easy access to all of Seaside's wonderful venues. 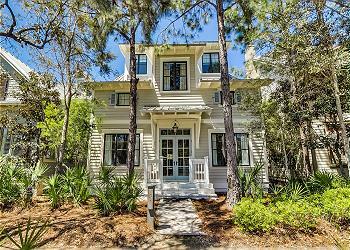 Incredible 5 bedroom / 5.5 Bath Masterpiece in WaterSound with separate detached carriage house, private heated plunge pool, a golf cart, private baths for each room, gourmet kitchen and incredibly beautiful interior design. 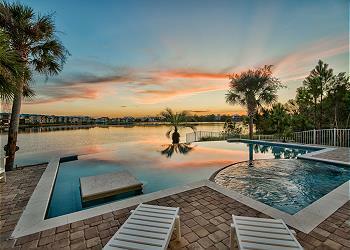 "Aqua Tranquility" is a huge lakefront home just a short distance from the beach! 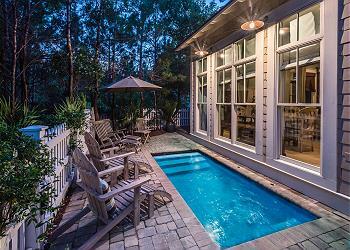 Features include a brand new private, heated pool, beautiful lake and gulf views and spacious accommodations for 16 guests! 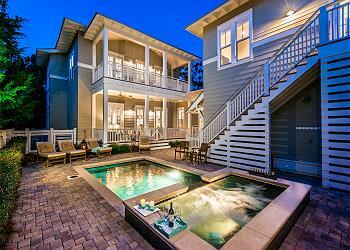 65 Wisteria Way is a 4 bedroom/ 4.5 bathroom home in Phase 4 of WaterColor. 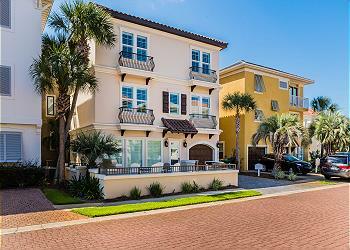 Enjoy the close proximity to the Dragonfly pool, Seaside and the beautiful Gulf of Mexico! Enjoy dazzling views of both the gulf and Western Lake from the third and fourth floor balconies of this multi-family residence with accommodations for two. 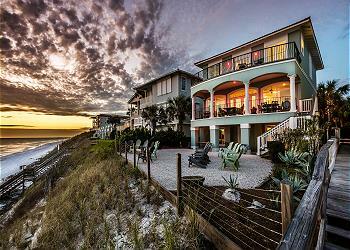 Escape to the three story coastal hideaway tucked away in beautiful Dune Allen Beach. This beach abode offers dazzling views of the gulf and abundant porch spaces on which you can enjoy your favorite ice cold beverage! Check availability and book today. 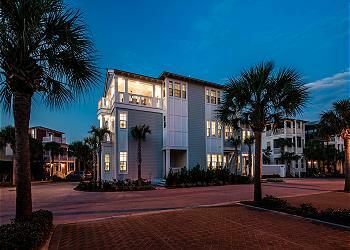 "Cinnamon's Retreat" is a newly constructed, two story beach retreat located in WaterColor's Crossings District. 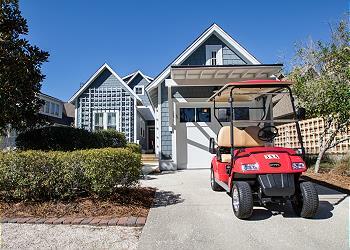 Explore the Scenic 30A area on the bikes provided and be sure to check out the fabulous shopping and dining venues of WaterColor and Seaside. 103B at the Crossings is a beautiful condo overlooking the Crossings pool, making this an unforgettable vacation location! This gorgeous home in the Park District offers all the luxury you've come to expect at WaterColor.